Yamalavathi is 26 and has been working as a teacher at one of Laia Foundation’s tuition centres in ThandaraiPettai since 2008. Yamalavathi was awarded by AID-India as one of the best teachers of the programme Eureka SuperKidz 2015, recognising her excellent work as a teacher. She feels very proud of the results of Laia Foundation’s educational project. Her two children, 3-year-old Kanishka and 6-year-old Nithish are also students of the tuition centres. 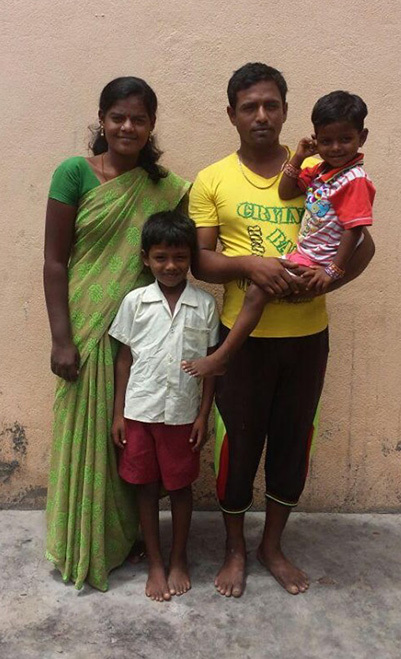 Yamalavathi is a clear example of a teacher who thrives on the educational excellence of her children. Apart from being a tuition centre teacher, Yamalavathi has been running a percussion group formed by 20 children for the las two years and is currently studying History through online university. Short movie on Laia Foundation’s staff and beneficiaries!